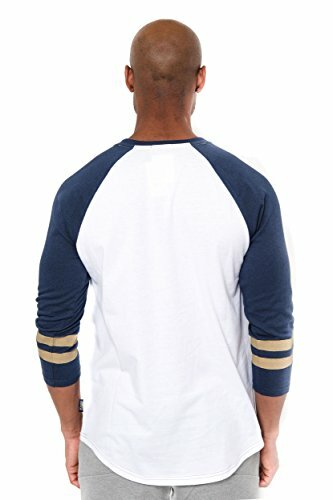 NFL COLLECTION: Officially Licensed By The NFL (National Football League), NFL by Icer Brands is a re-introduction to the classic NFL fan gear. Boasting innovative design and fabric updates in fresh fits for today's stadium-goers that appeal to everyone. COMFORTABLE FIT: Athletic fit, rib knit collar and crew neck provide added comfort for all activities. 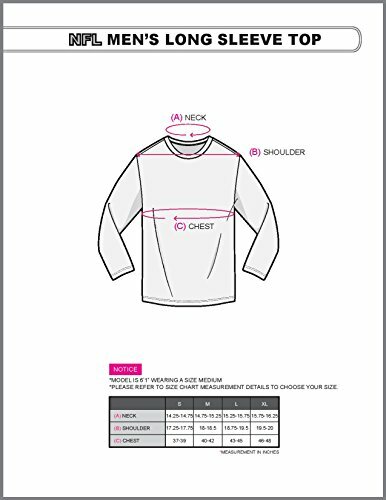 Sizing of this shirt is designed for a slim/athletic fit. The model shown is 5'11" with a slim/athletic build wearing a size medium. Size chart below. 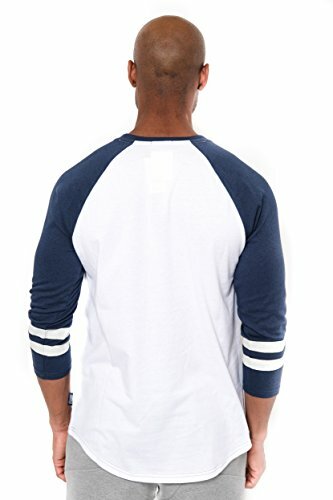 STYLE AND DESIGN: This raglan style long sleeve baseball tee features a white body and 3/4 stripe sleeves in team colors. 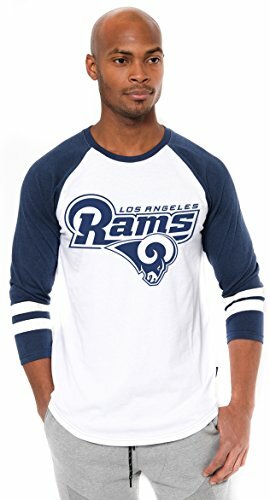 Perfect shirt to wear on game day or any day of week. Designed to sync up effortlessly with your everyday style. For fans, by fans. GRAPHIC DETAILS: High quality screen print graphics of your favorite NFL team in official team colors. Perfect for running, jogging, sports, exercise, lounging around the house, or everyday use. Available in all your favorite colors and teams. (S to XL) MATERIAL AND FABRIC: Lightweight cotton and polyester blend gives this shirt a soft and comfortable feel. Made from 60% Cotton and 40% Polyester. We stand by the quality of our apparel and includes no hassle 100% money back guarantee if not satisfied.